This entry was posted on October 11, 2012 by Charles Ford. It was filed under HDR and was tagged with Dusk, HDR, Kansas, Photography, Sky, Sunset, Sunset road. 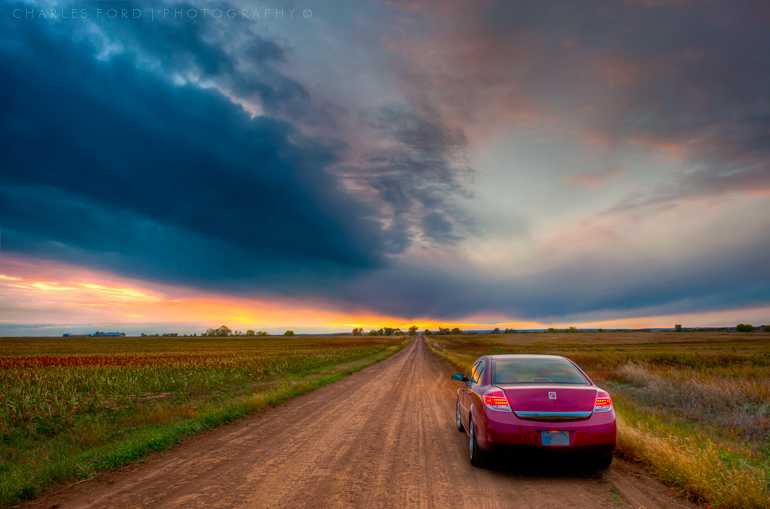 Sunset Road should be on your list of places to go for sunset photos. I do like the inclusion of the car in the photo but I’m surprised to learn it’s not a “Ford”. ??? Trouble is, its like two hours from home. But you’re right. Great road, no power lines…. As to the car issue….that is actually my wife’s car. I DO drive a Ford! hehe. Great story telling image, Charles. It has a hyper-reality and dream like intensity. what you’re stating and the way in whnich during which you assert it. You are making it enjoyable and you still take car of to keep it sensible. I cant wait to leadn far more from you. This is really a wonderful website.